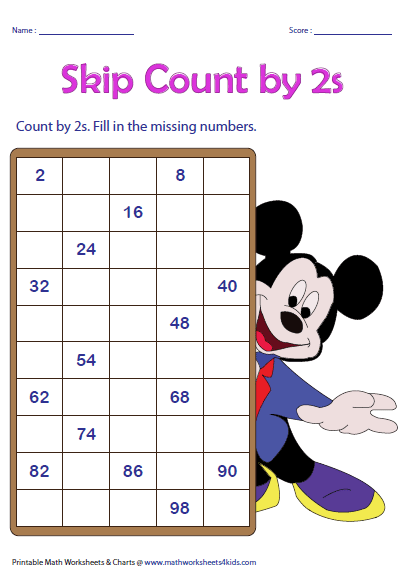 Learn and explore skip counting using display charts, partially filled charts and blank charts. These charts are suitable for display boards and used as a visual aid for the children. 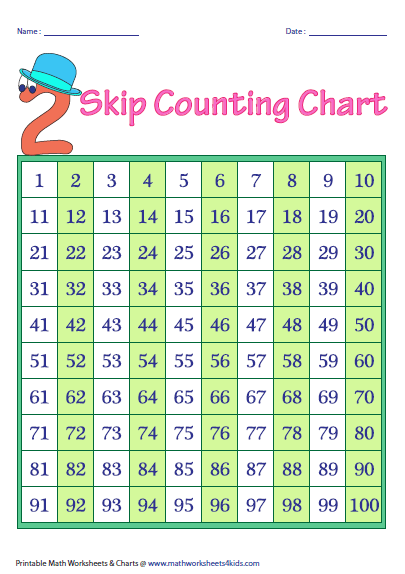 Hundred charts are used to explain skip counting. It is a reference chart to teach counting. The numbers are colored based on skip counting. 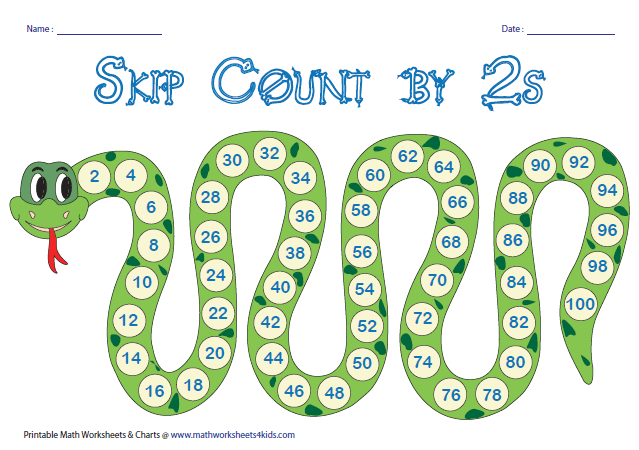 Use the following display charts to learn skip counting up to multiples of 50. 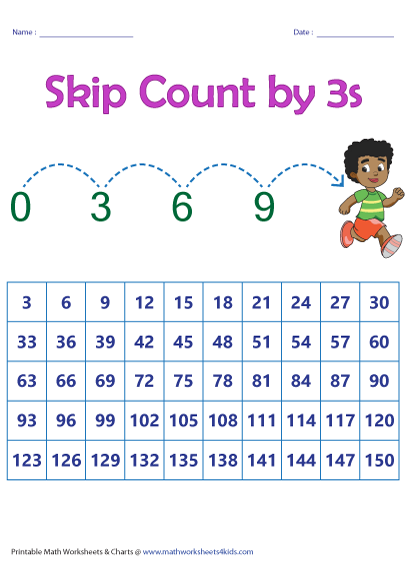 These visual charts help the child to skip count from 2s to 12s. A cute and funny snake is here to help the kids learn skip counting by 2s, 3s, 4s, 5s, 6s, 7s, 8s, 9s, 10s, 11s and 12s. Each standard chart has a unique theme. Skip count by 15s, 20s, 25s, 50s, 100s and 1000s are also included. 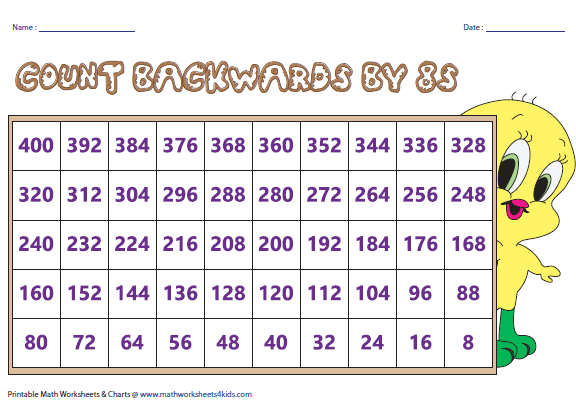 Learn backward counting using the following printable charts. Partially filled charts are used to practice skip counting. Each chart has interesting themes like Donald Duck, SpongeBob and more. 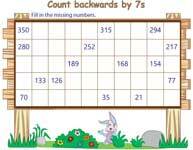 Fill in the missing numbers by skip counting. 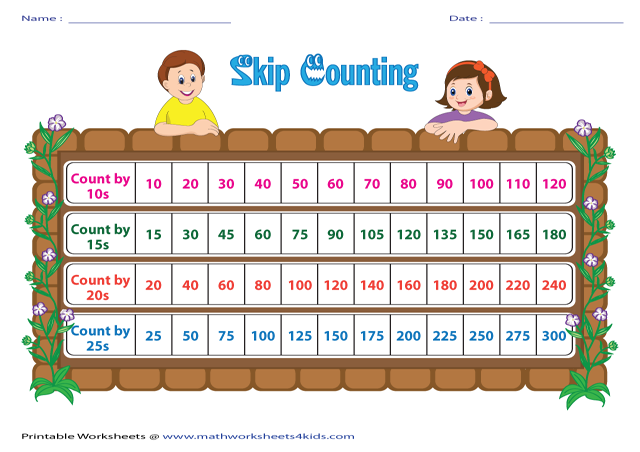 Skip counting is reinforced using train theme in this section. The track has missing numbers. 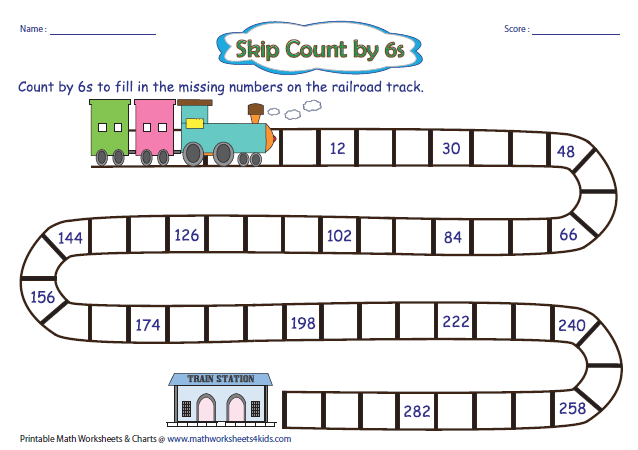 Complete the numbers on the track to help the train reach the station. These mixed charts help you review skip counting from 2s to 1000s. 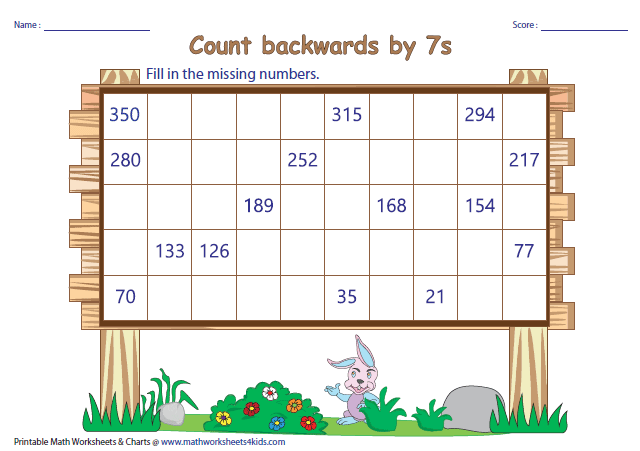 This section has partially filled charts that will test your skill in counting backwards. 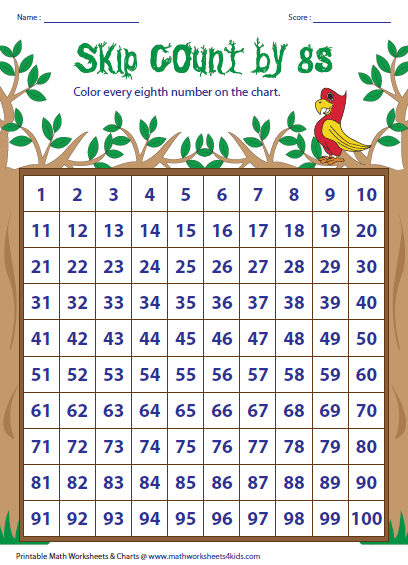 Color these blank hundred charts according to the instruction given in each sheet. Blank charts are given here. 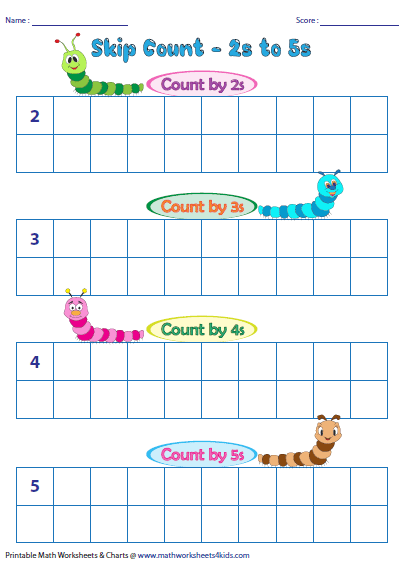 These charts are used for repetitive practice to excel in skip counting. Skip count by 2s, 3s, ... up to 12s. 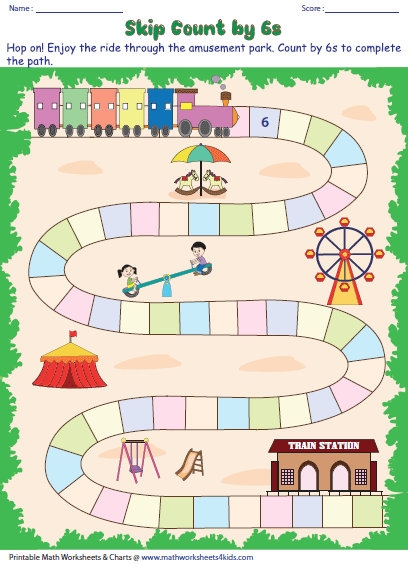 Help the train reach the station by filling in the numbers on the track. 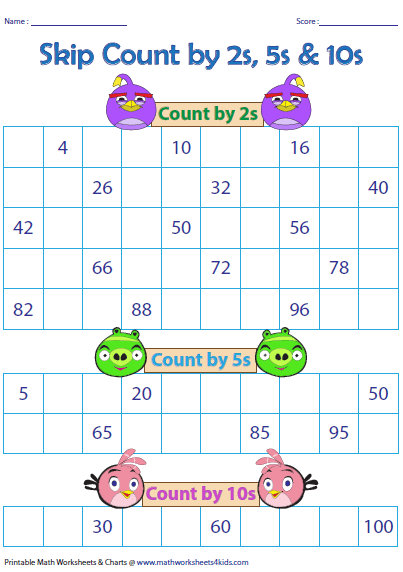 Skip count to complete each blank table. 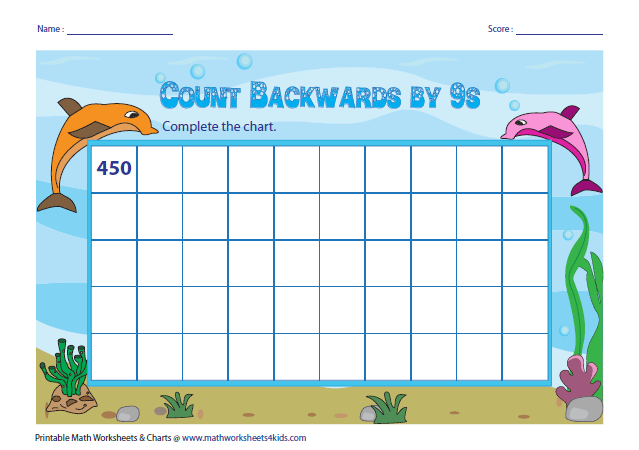 Teachers can use these blank charts to review skip counting in the classroom. This section has blank charts on skip counting backwards. Underwater theme is used in each chart.